Jacqueline of Chez Mukweto is the winner of the crochet book Totally Simple Crochet! Thanks to everyone who participated in our giveaway! For a chance to win another copy of this book, check out Karen’s review and giveaway here: KRW Knitwear Karen’s contest ends tonight! Totally Simple Crochet Review and Giveaway! 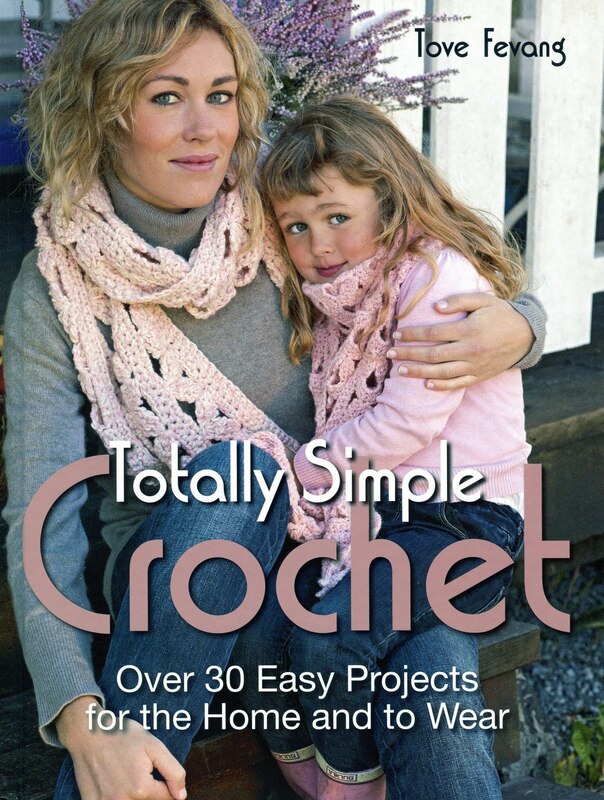 Today on Cute Crochet Chat, I am pleased to present a recently published crochet book, “Totally Simple Crochet”, Over 30 Easy Projects for the Home and to Wear, published by Trafalgar Books. 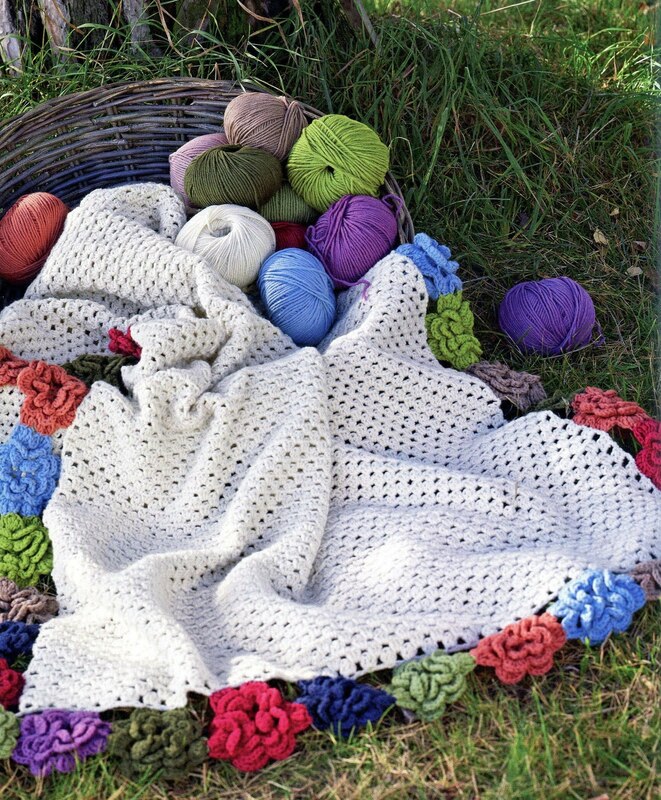 Most of us who crochet would agree with the book’s author Tove Fevang, “When evening comes and I’m rather tired after a long workday, getting out the crochet hook and some yarn re-energizes me. Everything else melts away as I relax with my crocheting”. Aren’t we all lucky to have something like crochet to feel so passionate about? If you are new to the art of crochet or if you have been crocheting for years, you will find a project in this book that you want to make. From dishcloths to baby hats to scarves and afghans, there is something for everyone! Each project is well photographed and some of the beginner designs have step-by-step photographs that will help you breeze through the instructions. 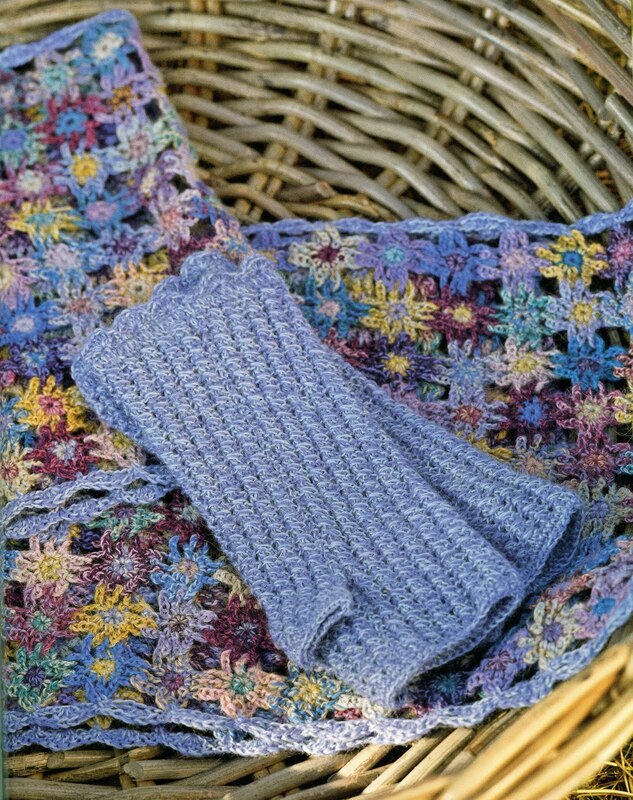 The crochet designs in this book are just what they say, “Totally Simple”, but that does not mean beginner-only. Fevang uses a wide variety of interesting crochet stitches to create some very pretty designs that will be popular with every skill level. Even some of the beginning projects have interesting crochet textures! The book begins with Abbreviations and General Crochet information. Each stitch used is outlined with a nice description and the photographs are very clear. The Materials section lists several tips and techniques by the author written in plain language to help you as you begin to crochet. For the beginner, there are also several pretty colored dishcloths that will take you through learning all the basic stitches in crochet, each color a different stitch and edging! 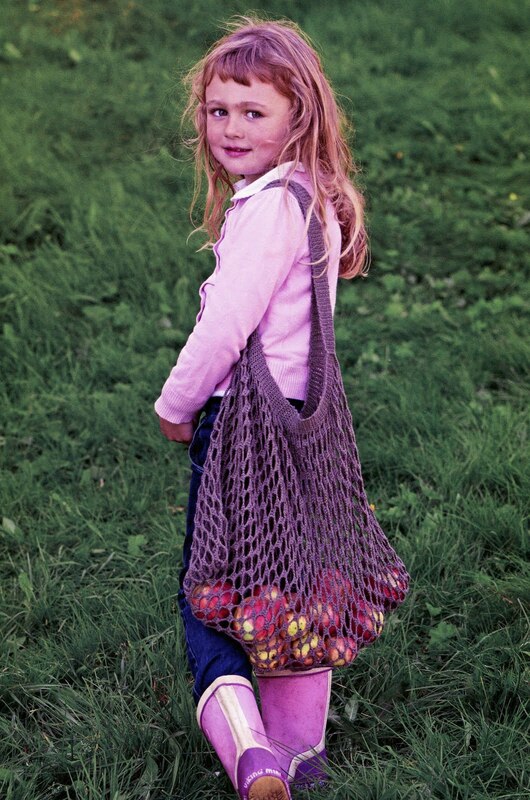 I love this idea for the novice crocheter, who will have something useful when practice time is over! Trafalgar Books has donated the book for our giveaway! In order to be eligible to win, become a FOLLOWER OF THIS BLOG in the left sidebar (if you have not already done so!) and leave a comment on this post. Let us know the title of the last crochet book your purchased and why you bought it. It should be fun to see what responses we get! PLEASE, PLEASE don’t forget to leave your contact information and/or email address, so we can contact you if you are the winner! One lucky winner will be drawn at random on Wednesday, June 29th! OUR GIVEAWAY HAS ENDED. THANKS TO ALL WHO PARTICIPATED! >Totally Simple Crochet Review and Giveaway! One lucky winner will be drawn at random at the end of the contest! 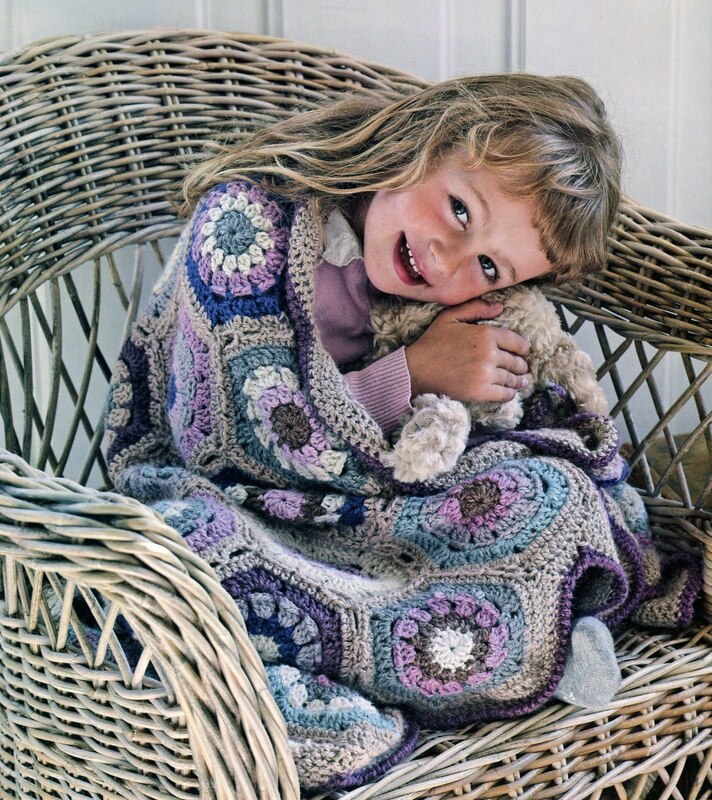 Let’s face it; we’re hooked on crochet and everything it has to do with, ie yarn, hooks, crochet patterns, etc. In this new, ongoing feature, I am going to share photos and links of some of the things I find interesting in crochet. I might just include some knitting, also! I LOVE this pineapple crochet sarong, designed by Dora Ohrenstein, in the current issue of Crochet Today! The beautiful, lacy pineapple stitch is one of my all time favorites and it looks as though this could be stitched up quickly using Lustre Sheen instead of thread. The design is also shown as a scarf or wrap, which makes it very versatile. Crochet is such an incredible craft, in that it is so versatile! You can go from a very pretty and lacy shawl (as above) to a formed and stuffed item! 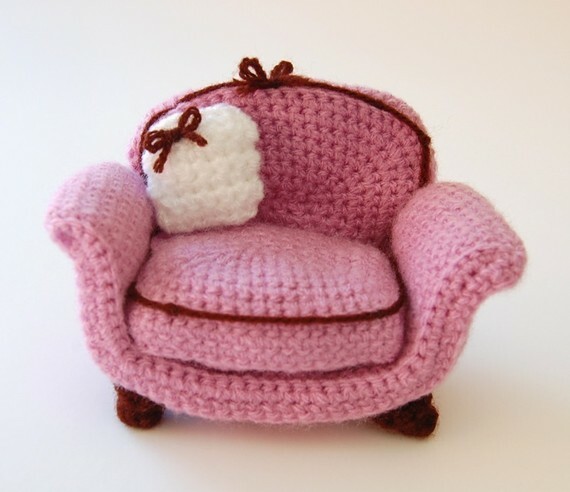 This adorable crochet chair is an example of how crochet can become anything! I love all the dainty details of this design. The pattern can be purchased from AmiEggs Etsy shop! Is this the cutest baby hat that you have ever seen? I ♥ it! Crochet baby photography props have become all the rage lately and designers are outdoing themselves to create some of the sweetest looking crochet yet. 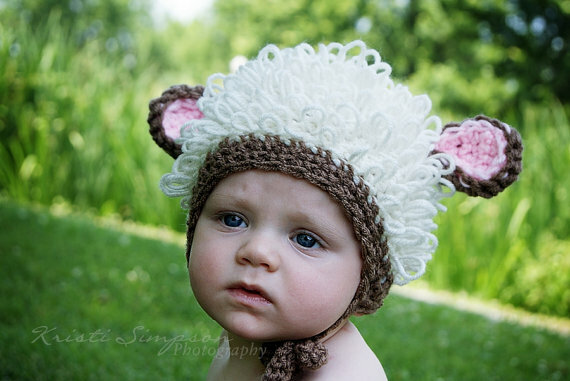 This adorable Lamb crochet pattern is available for purchase at RAKJ Patterns. I flipped out when I saw this gorgeous Mega Doily crochet rug! It is truly a work-of-art. 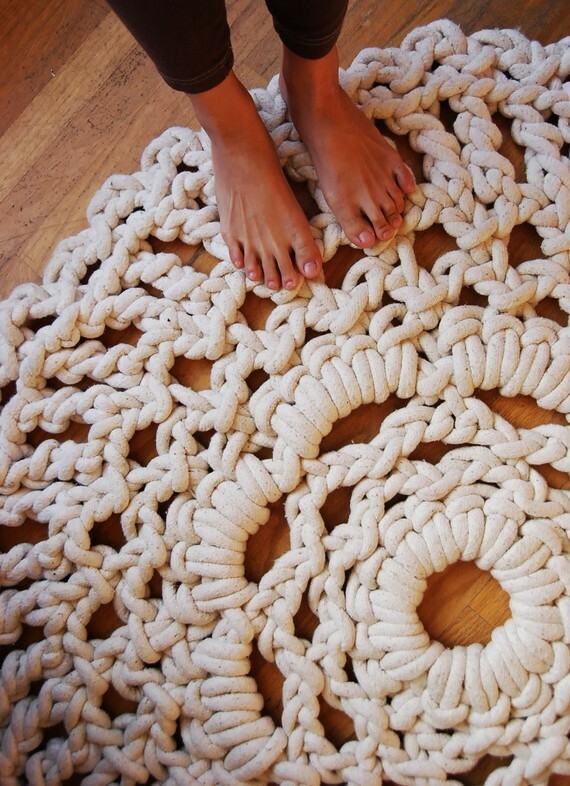 The rug is crocheted with cotton rope and is 3 feet in diameter. It can also be made in custom sizes. I cannot imagine crocheting with any material this large, but I think Ladies and Gentlemen did a beautiful job! The rug carries a hefty price, but I would bet it is worth every penny! Stay tuned for our next update, which will be another crochet book review and, of course, a GIVEAWAY! I recently created a new Facebook business page for Too Cute Crochet! If you are on Facebook or would like to join, please stop by our NEW PAGE ! Thanks! 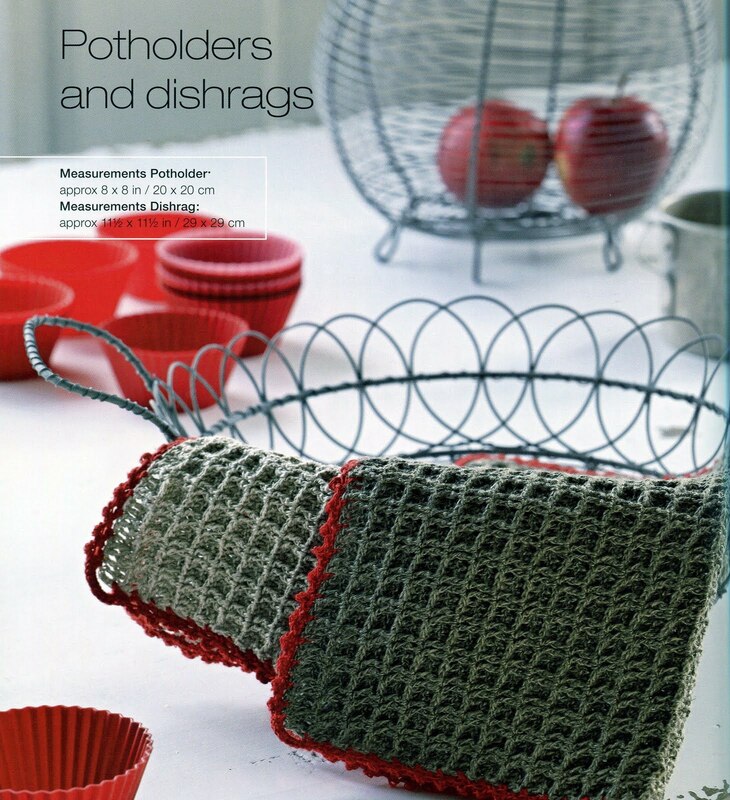 >Let’s face it; we’re hooked on crochet and everything it has to do with, ie yarn, hooks, crochet patterns, etc. In this new, ongoing feature, I am going to share photos and links of some of the things I find interesting in crochet. I might just include some knitting, also! We have two winners in our “50 Ripple Stitches” book giveaway. Marie Anne of Ohio and Jodie of California are our two winners! Thank you to everyone who commented and participated. I recently received two new crochet books from the Publisher for review, so stay tuned for a couple of more reviews and giveaways! We love giving away crochet books and crochet items at Cute Crochet Chat! On another note, I recently created a new Facebook business page for Too Cute Crochet! If you are on Facebook or would like to join, please stop by our NEW PAGE ! Thanks!